Even if you don't want to trust Amazon to deliver packages inside your home, you can still use their excellent Cloud Cam security cameras to keep an eye on your stuff. And since you'll probably need more than one, Amazon is running a great deal when you buy two or more today. 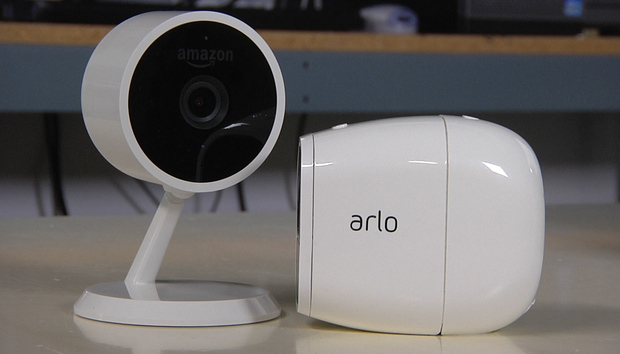 Pick up a pair of Alexa-compatible Amazon Cloud Cam security cameras and you'll save $40, bringing the price down to $100 each. Buy a third and you'll save $70, meaning each camera costs $96, just $6 more than the lowest price we've ever seen. With tons of features, such as two-way audio, night vision, and the ability to get real-time notifications and footage to your computer, this smart camera is a great lookout for a connected home. Besides its obvious security camera purposes, it can also be utilized by users of Amazon Key to let delivery people and others into your home when you’re away. We gave it 4.5 stars out of 5 for its many features and functions, which includes 24 hours of free cloud storage. Also on sale is Amazon's Echo Spot, which is $20 off right now. In addition to plenty of voice-controlled features, such as monitoring other connected devices and playing music, the round, attractive smart speaker has a screen to allow viewing of photos and videos straight on the speaker itself, as well as your Amazon Cloud Cam feed. We gave it 4.5 stars out of 5 for its sleek, compact design and versatility. And off you're looking for even more Alexa-compatible devices, check out our roundup of smart devices that work with Amazon's AI assistant.